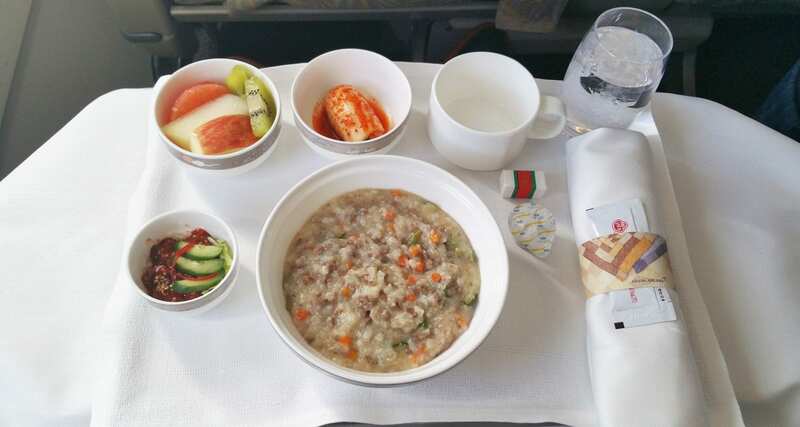 Having already flown on some Korean Air services across Asia and to Europe, it was time to sample the offerings of Asiana Airlines. The star alliance member is known to offer some great meals inflight such as Ssambap, a healthy delicious traditional dish with fresh ssam vegetables and sauce made with nuts. There was no Ssambap on this flight however this breakfast certainly didn’t disappoint. Flight OZ177 departed from Tokyo Haneda airport bound for Seoul at 0620, a very early start indeed. This breakfast flight of just over two hours offered two choices in business class, a Western or Korean option. 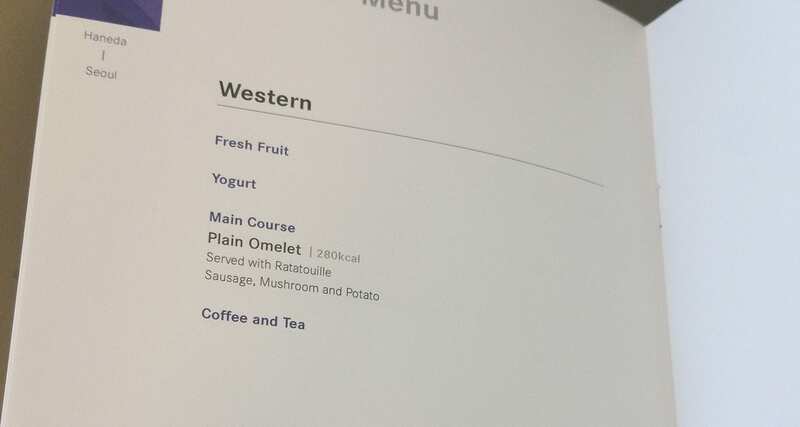 The western option consisted of a plain omelette with Ratatouille, Sausage, Mushroom and Potato, and the Korean Rice Porridge option. Nice to see the airline pointing out the calories on the menu, you may start noticing this more and more on flights from/to Europe as well. While the Western option sounded very appealing when in Rome…. The obvious choice was the Korean Rice Porridge (210 calories) with Beef and Vegetables, served with assorted side dishes and fruit. And the taste? Delicious. What a great warm and healthy breakfast, indeed a great choice!